There are no comments for Quadrille, 1820. Click here to post the first comment. 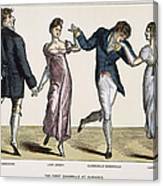 QUADRILLE, 1820. 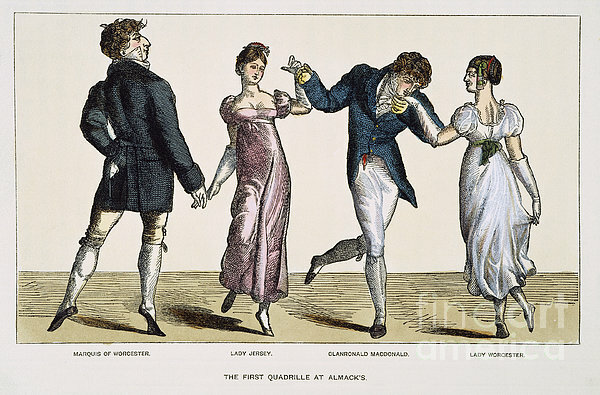 The Marquis of Worcester, Lady Jersey, Clanronald MacDonald and Lady Worcester dancing the first quadrille at Almack's Club, 1820. 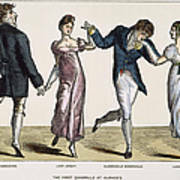 Wood engraving, English, 19th century.